Indoor hanging plants are an ideal way of adding greenery to your indoor space. They draw the eye upwards and have the benefit of making your room feel taller. They can brighten up spaces that may not be suitable for other decoration. Outdoor hanging plants add that extra style to an outdoor space filling in empty holes and ‘greening” unsightly beams or infrastructure. They add dimension to flat spaces and help you to create beautiful areas to relax. 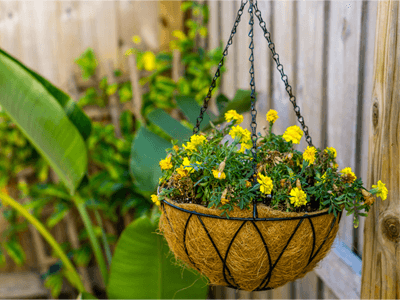 The concept of vertical gardening utilising hanging plants is so much more than it used to be when you would pop a plant into a pot with a macramé hanger and place it into a handy corner. Whether for indoors or outdoors let’s look at a couple of things you may want to consider before venturing out to purchase hanging plants. How to hang your plants? Here are some of our favourite ways of incorporating hanging plants into a space. You can always choose a plastic or organic indoor hanging plant holder from your local nursery, but you can also choose to get creative and look at indoor hanging plants in a non-traditional way. Bring the classic trellis in from the cold. Jazz it up with some paint and add it to a blank wall. Add some plants in some stylish planters and you have a living work of art that will become a talking point amongst your friends. Use unexpected places for your green displays like the top of an air conditioner, a space on a shelf, awkward spots that are crying out for some decoration and a hanging plant fills it perfectly. Add plants to the top of tall furniture and encourage their growth to drape over the edge. Think cabinets, built-in shelves or kitchen cabinets. Use your built-in features to feature a pop of greenery in unexpected places. The rods that hold your curtains are perfect for curling vines that have already outgrown their hanging pot. You need to choose the right plants for hanging baskets or any other type of arrangement to make sure that they thrive. As with any other plants you need to take climate and position into account as well. Unless you choose the artificial hanging plants option. Hanging plants that don’t need full sun. They prefer bright, indirect light in humid conditions and there is a range of different varieties to choose from. Love the indirect sun and you can choose between variegated and solid green species. Some have long, spiked leaves and occasionally lavender or white flowers. Many varieties for you to choose from. Easily grow roots from cuttings in water and they are suitable plants for hanging baskets. It loves a south facing window but prefers indirect to direct sunlight. Grows as vines that have heart shaped leaves and you can use organic or artificial hanging flower baskets to reduce maintenance. Hang in lower light to maintain a thriving plant. Vertical gardening with hanging plants is a great way to uplift small areas without making them feel cramped. 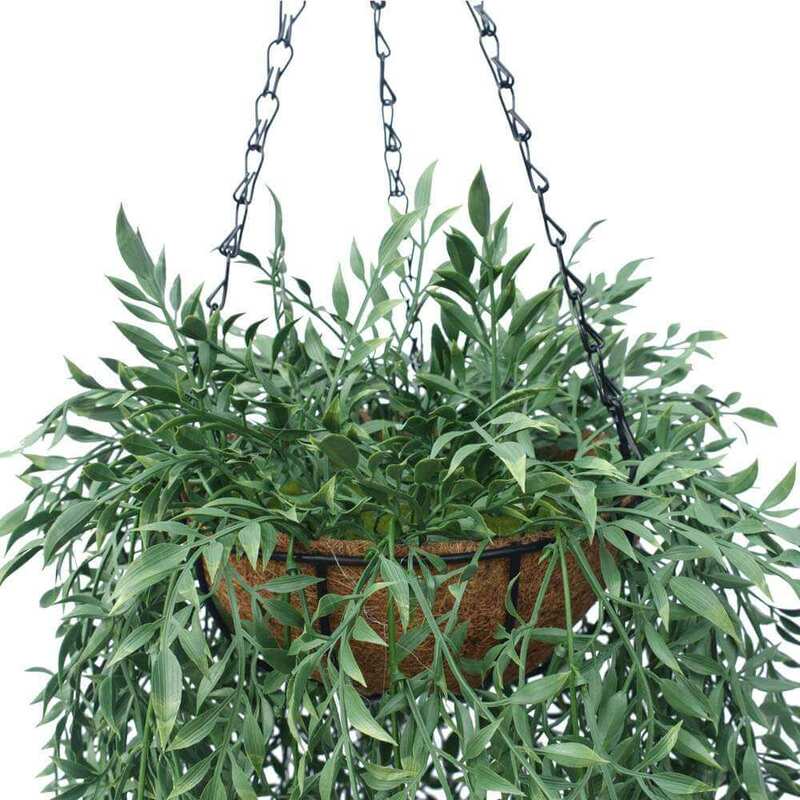 Convert your indoor and outdoor spaces into gorgeous green places with hanging plants for you and your family to enjoy.